John’s presentation on gathering and transmitting military information during the Revolutionary War was very intriguing. The sophistication of codes designed for use to conceal information in letters is still being used today. They used alphabet matrices, cut out masks placed over written groups of words and words themselves that have different meanings. John showed us how sophisticated intelligence information was transmitted in colonial times. John is greatly welcome to come back even though his presentations are of another time period. 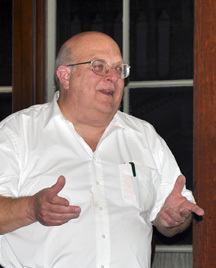 Mr. John Nagy, of Mount Laurel, New Jersey, is a founder and current president of the American Revolution Round Table of Philadelphia. He received his BA from Saint Francis University, Loretto, Pennsylvania, where he is now a Scholar in Residence. John received his MMS from Stevens Institute of Technology, Hoboken, New Jersey. John is a consultant for the William L. Clements Library at the University of Michigan on espionage and also an expert in antique documents. 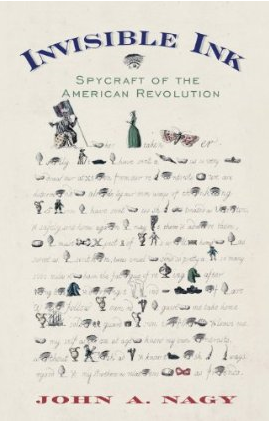 He was the source of information used in the very popular web page “Spy Letters of the American Revolution” from the collections of the Clements Library. This entry was posted in Meeting archive on October 14, 2010 by hlj.